The foci of this website are forenames and their meanings. Listed herein are approximately two thousand popular given names, in alphabetical order, along with their meanings and ethnic origins (where applicable). Occasionally, parents choose a name in a hurry, perhaps because of its meaning alone, and they later regret their choice. They may have chosen a popular name that is encountered daily, and they belatedly realize that many future classmates of their child will have the same name. Relatives may not like their name choice, or they may have found another name that they like better. Can a name be changed? If you wish to change your child's name, it is best to do it as soon as possible. Government records, such as Social Security information, must be changed, and friends and relatives must be notified. Children who are older than 1 1/2 or 2 years old will notice the difference, and it can be confusing for them. Older children may even want a say in the change. 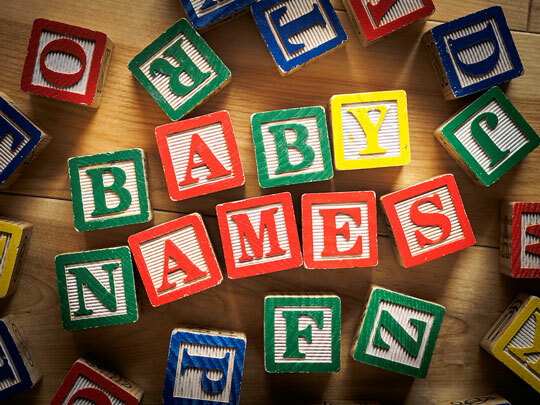 Give a name change serious thought before going ahead with it, but if you are very uncomfortable with the name you gave your child, it could be well to change it. All information on website Name-Meanings.org is provided "as is." By using this website, you agree that Zeducorp is not responsible for errors or omissions, and shall have no liability for damages of any kind, including special, indirect, or consequential damages, arising out of or resulting from any information, product, or service made available hereunder or the use or modification thereof. Thank you for visiting the Name-Meanings.org website. We trust that you have found our website useful, and we invite you to place a link to Name-Meanings.org on your website. Simply copy the following HTML link and paste it on one of your website pages to reference this informative website. We appreciate your consideration.